I don't normally post twice in one day, and I already have a post planned for today but I felt that this was worth mentioning too... our wedding was on the Huffington Post! What?! Apparently Lloyd's not the only one in this family who is popular on the internet. 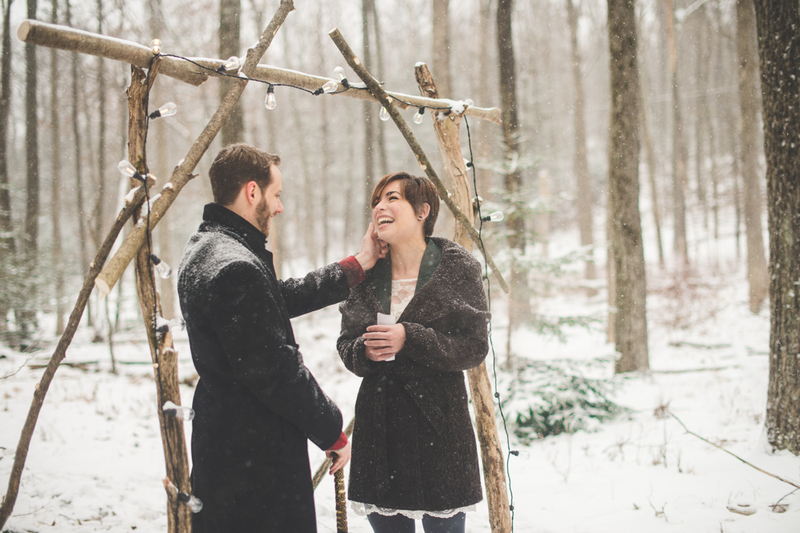 We never thought our elopement would turn into such a big thing! We're even on Pinterest! It's just surreal to me because a few months ago when I was scouring the internet for winter wedding inspiration I was pinning other people's photos in amazement, and now other people are pinning ours! The internet is really cool sometimes. We're so happy that our elopement turned into a sort of collaborative art project and now other people are feeling inspired by it. As artists, that's all you can ever hope for! Good for you! I sent your elopement post to several friends - I'm sure a lot of other people did the same. It's so refreshing to see people doing something creative, as opposed to just throwing a lot of money around. And let's face it - so many weddings are so excruciatingly predictable! Not yours! Give Lloyd a hug!